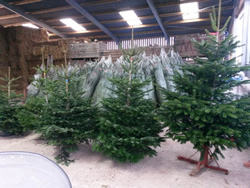 Dupath Christmas trees are available from the end of November. The majority of the trees are sourced near Ashburton in Devon, with some coming from our own plantation. 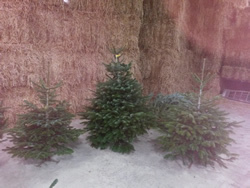 We sell both non-drop Nordman fir and traditional Norway spruce trees ranging in size from 2ft upwards. New this year, car transport bags at £2 each to keep the inside of your car nice and clean.